The Lunar New Year period ends on March 2nd, 2018 so you've got one more week and a great excuse to eat up! One of the most commonly eaten dishes during this time are noodles-long noodles are said to be good for a long life. And thanks to two sauces that you can keep handy in your fridge, you'll never be far away from delicious spicy noodles! There are only a handful of ingredients needed for this deceptively simple but complex tasting noodle sauce. Sambal terasi is an Indonesian chilli sambal or sauce made with roasted, fermented shrimp paste. You only need a small amount as it is strong but it imparts so much flavour. The other sauce is a chilli bean sauce that I've used before. I had no idea how delicious these two sauces were together and how you really don't need much else to create a fantastic spicy sauce. 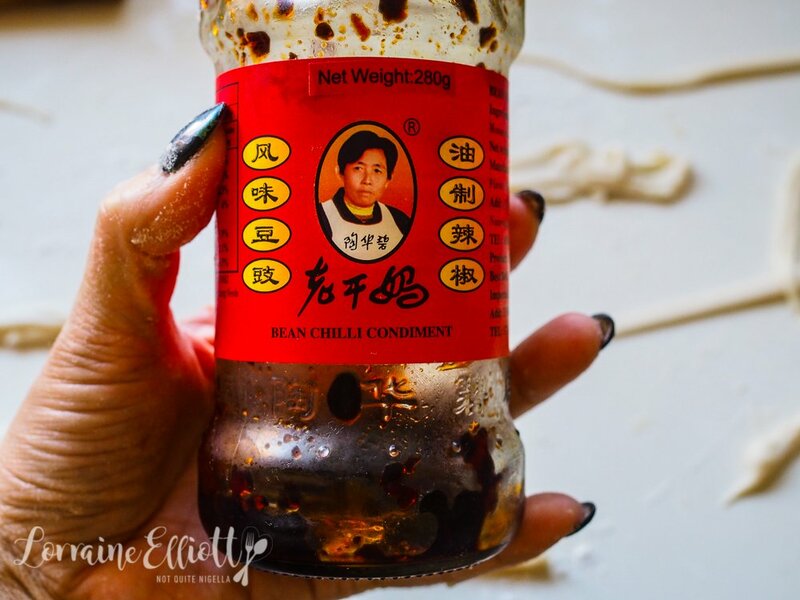 I was really just playing around with trying my luck with hand pulling noodles when I decided to make up a sauce using these two ingredients. 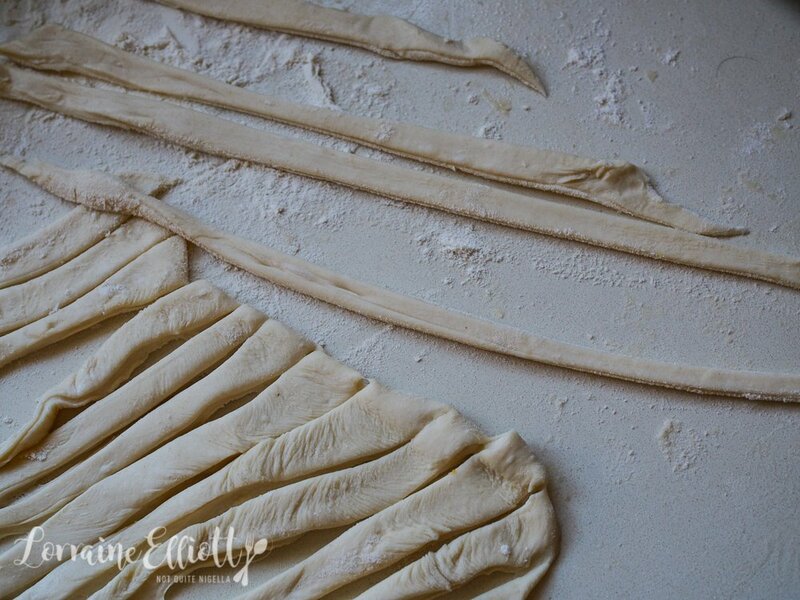 While hand pulling noodles was a major fail, hand making noodles is very easy enough. I realise that the chefs that hand pull noodles have probably been doing it for years and it's not like you pick up some dough and start doing acrobatics with it. But I have an inflated sense of my ability and reality rapidly sends me crashing down to earth. My efforts at hand pulling theatrics were woeful. Nevertheless I was still happy at the length of the noodles and the texture of them even if I couldn't put on a show. 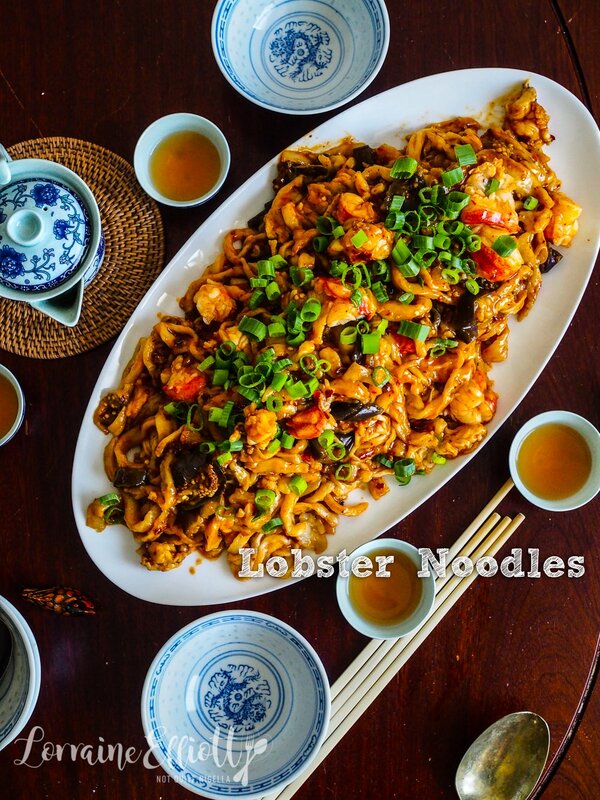 I brought these lobster noodles over for the Chinese New Year reunion dinner at my parent's house. 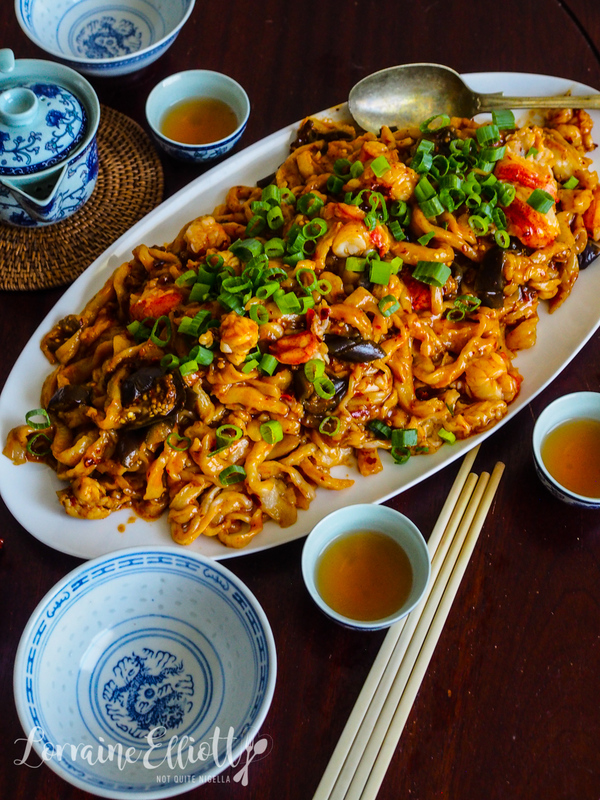 The reunion dinner falls on Chinese New Year Eve (the 15th of February this year) and involves eating lots of food, usually lots of meat heavy items as you are supposed to start off the year eating well and that means that for the rest of the year you will eat well. Of course there was much more food than four people could eat and Mochi was particularly animated as her favourite food was on the table: roast duck. She actually ignored her favourite ever snacks in the hope of getting some duck. Mochi is such a life role model for me - she never gives up and is always hopeful and happy no matter what has happened to her in the past. And even my father is coming around to her. I mentioned before that he refers to her as "the cat" although she's clearly a dog. 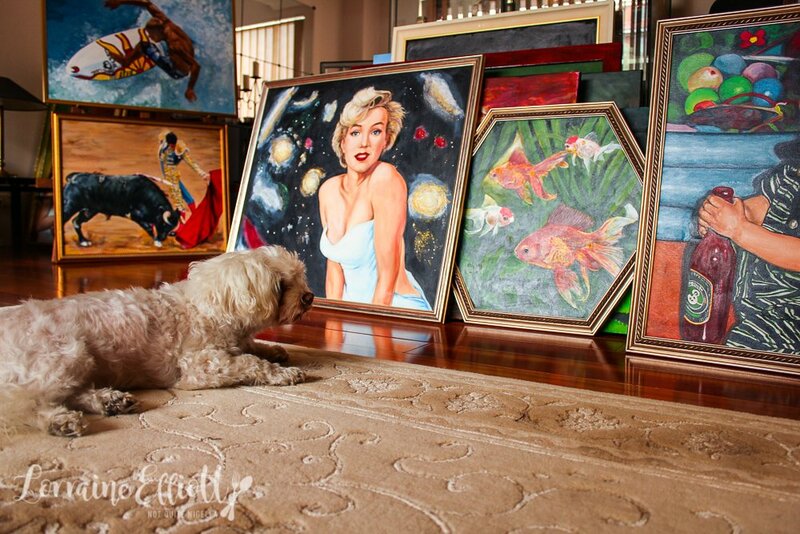 Recently has started paying her attention which is unusual. So tell me Dear Reader, who is your life role model? Do you ever make noodles from scratch? Have you been eating lucky foods? both of these items can be found at Asian grocery stores. Randomly, I found the chilli bean sauce at the supermarket in the Asian section. Step 1 - Boil the noodles in plenty of boiling water. Then I add the eggplant pieces to the water and simmer until they're cooked through (I want them cooked but I don't want them to absorb a lot of oil). At the same time heat a saucepan on medium high heat and add the oil when sizzling. Add garlic, sambal oelak and bean sauce and fry for a minute. Add the stock and then simmer until thick. 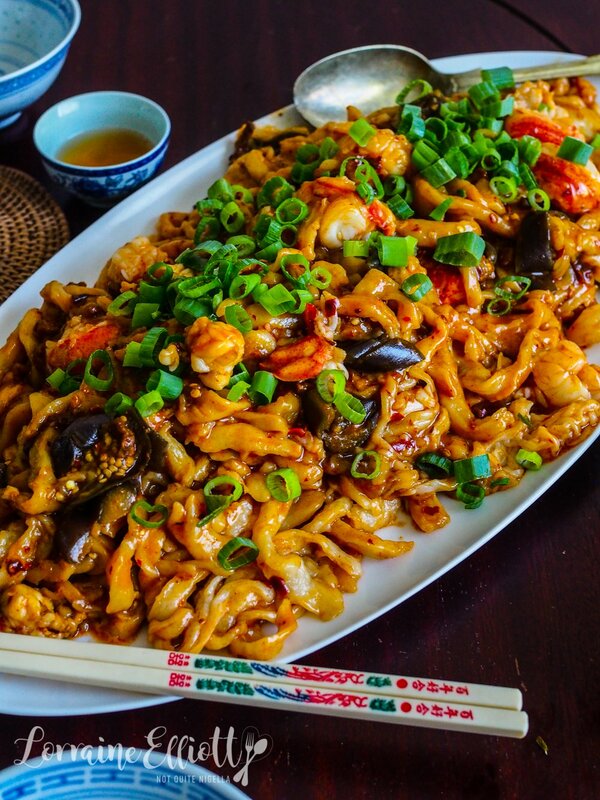 Add the noodles, eggplant and the lobster pieces and cook lobster until just cooked through. Step 1 - Fit an electric mixer with a dough hook and knead the flour with the water and salt for 3 minutes on medium speed (or 8 minutes or so by hand). Shape into a ball and allow to rest for at least 30 minutes at room temperature. Step 2 - Have a large tray ready and sprinkle flour on the surface. Place a large pot of water onto boil. 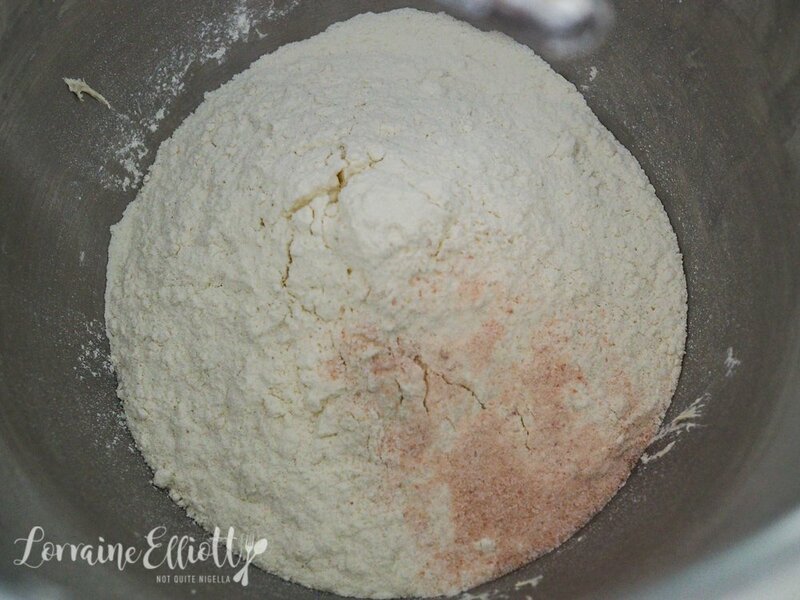 Generously flour a surface and take half of the ball and roll out and floour the top. Roll up the dough and cut the dough with a sharp knife. You can also stretch the noodles slightly before they go in the boiling water.